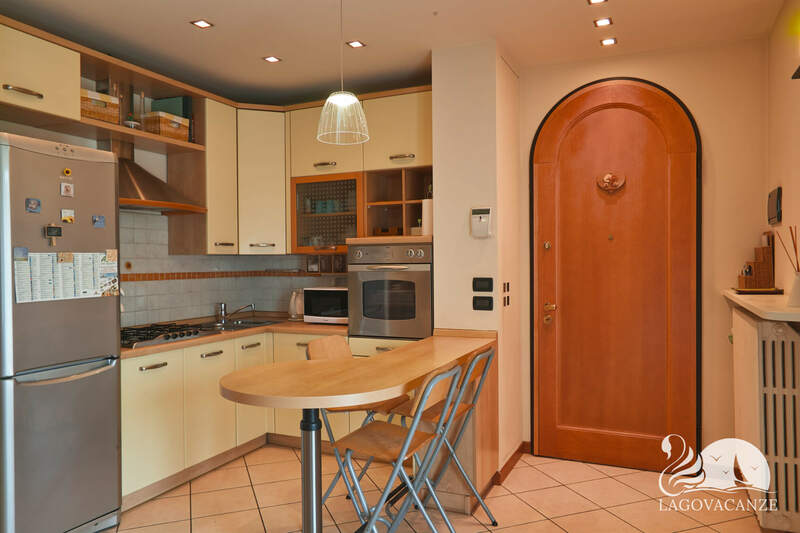 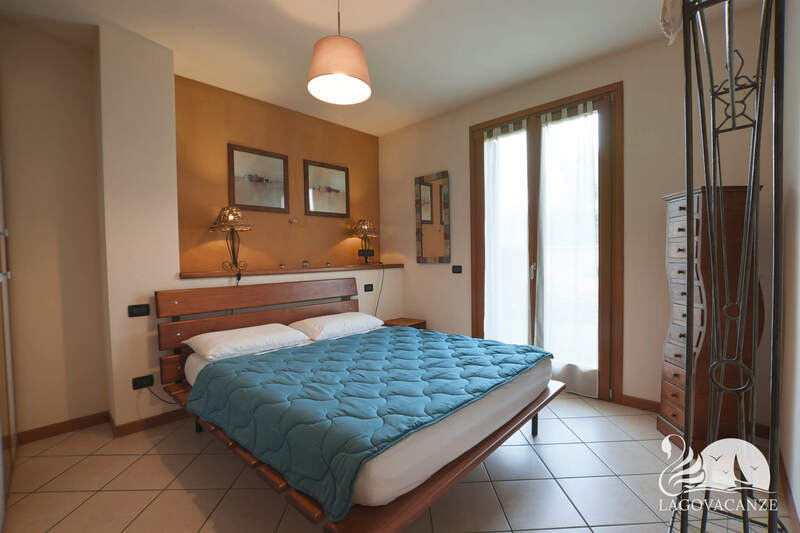 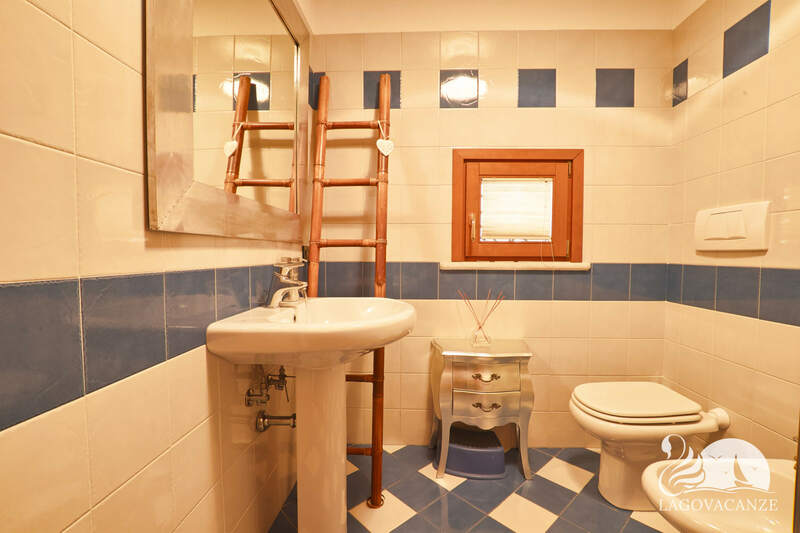 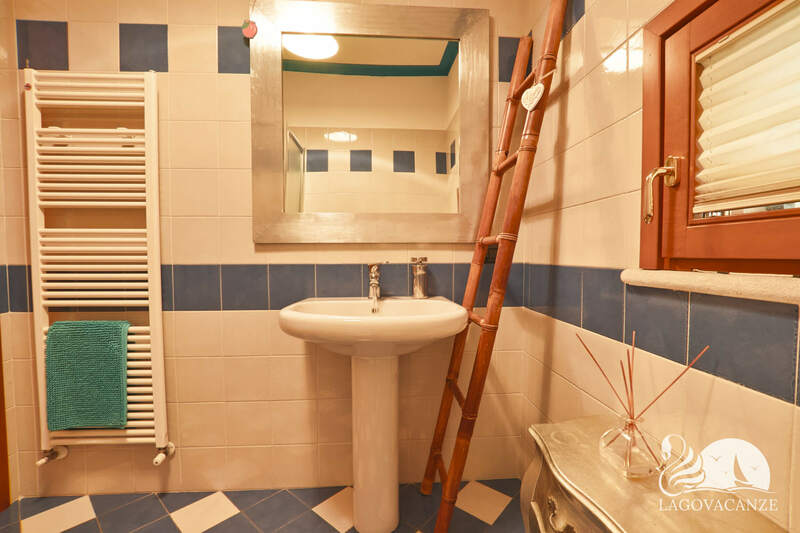 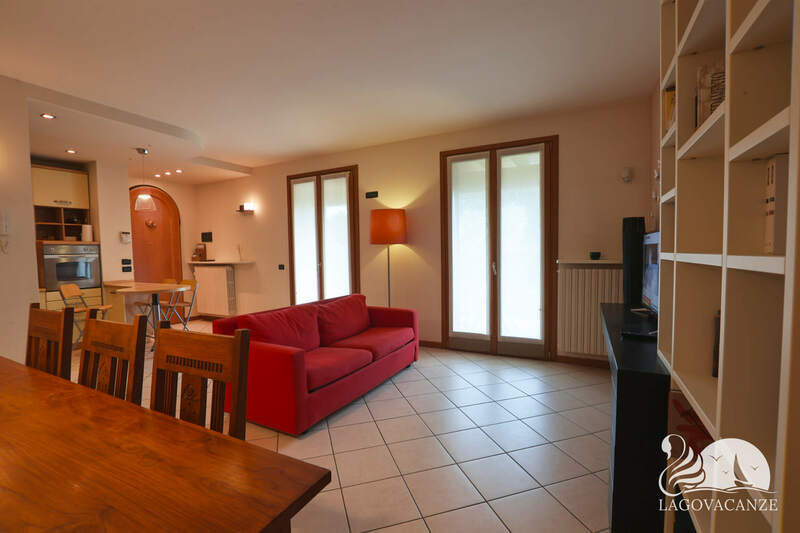 Apartment to holiday rent in Moniga del Garda, nearby to Garda Lake. 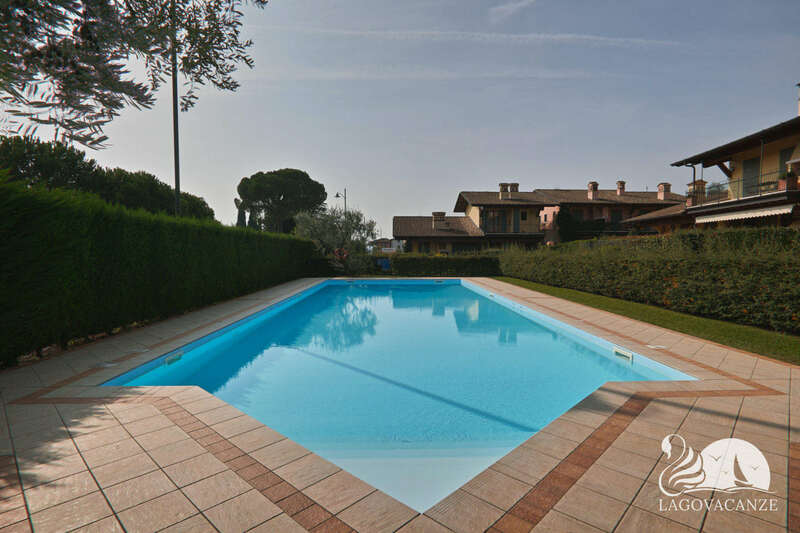 The apartment has a private porch and private garden and also a condominium common swimming pool. 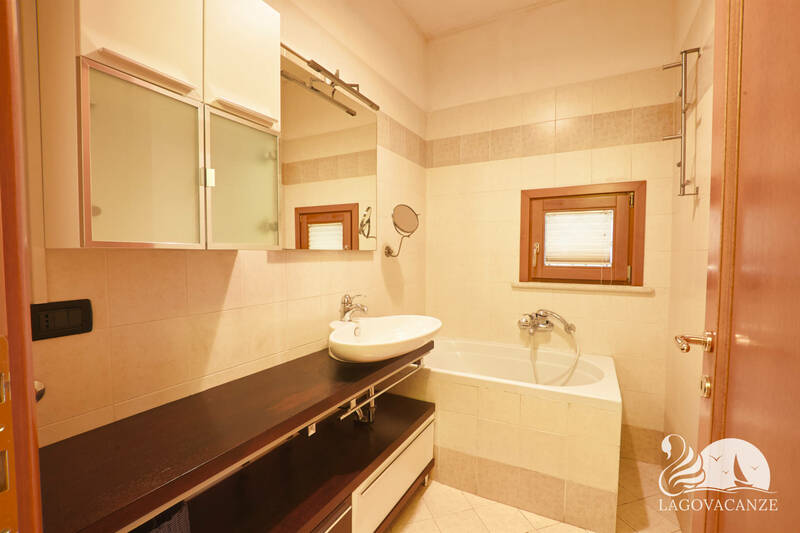 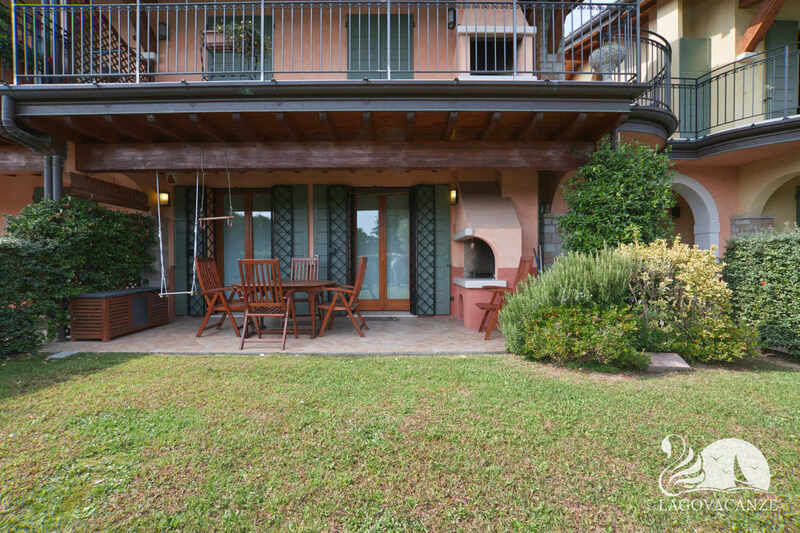 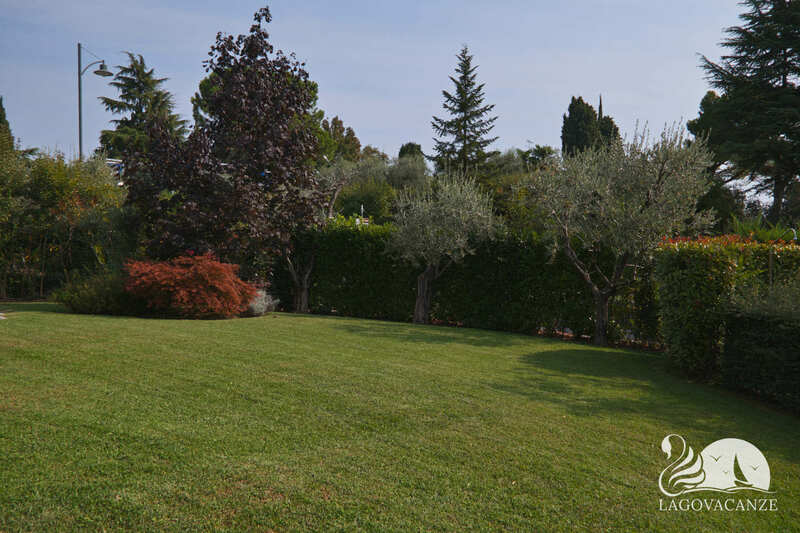 Ideal for families, until 6 persons, who would like to spend on holiday not far to Lake Garda. 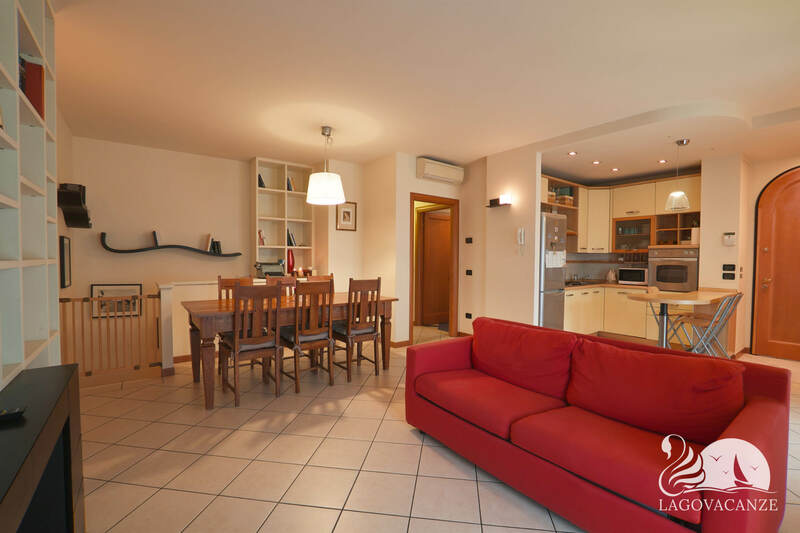 The living room has a master sofa bed, tv, dining table and equipped kitchen. 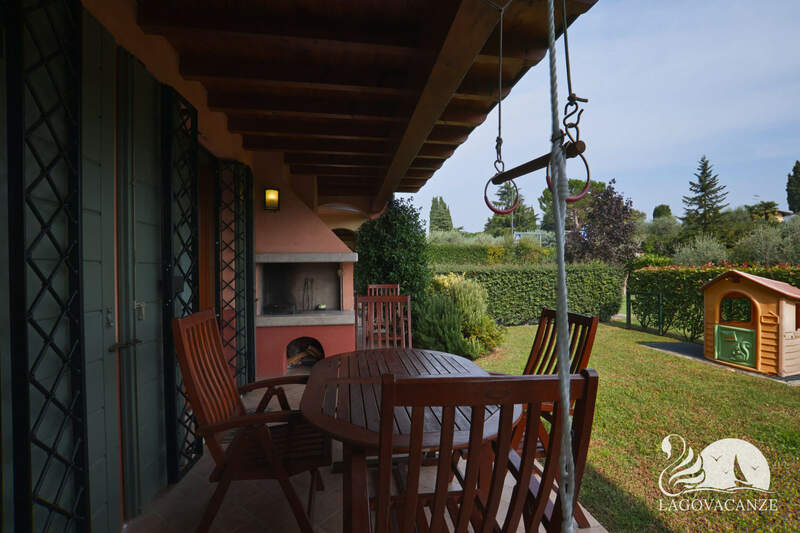 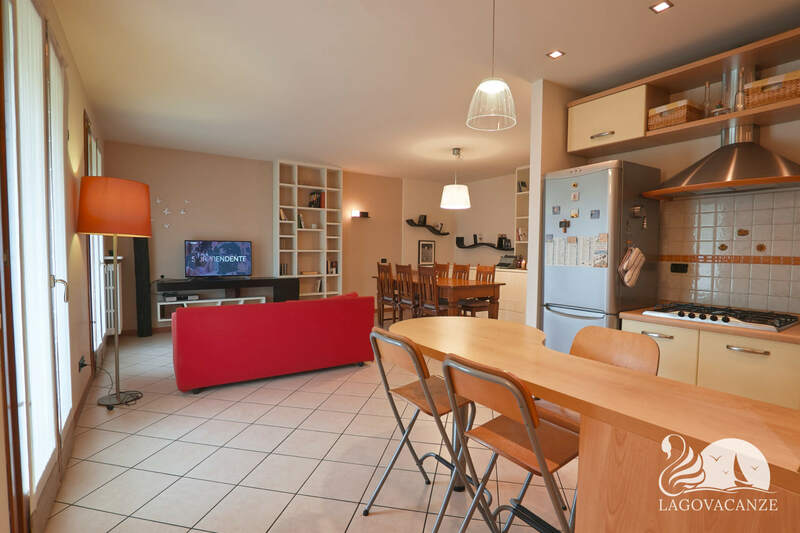 In front to the living room, you will find a second dining table and a BBQ grill where you can spend your summer evenings with your family in absolutely relax. 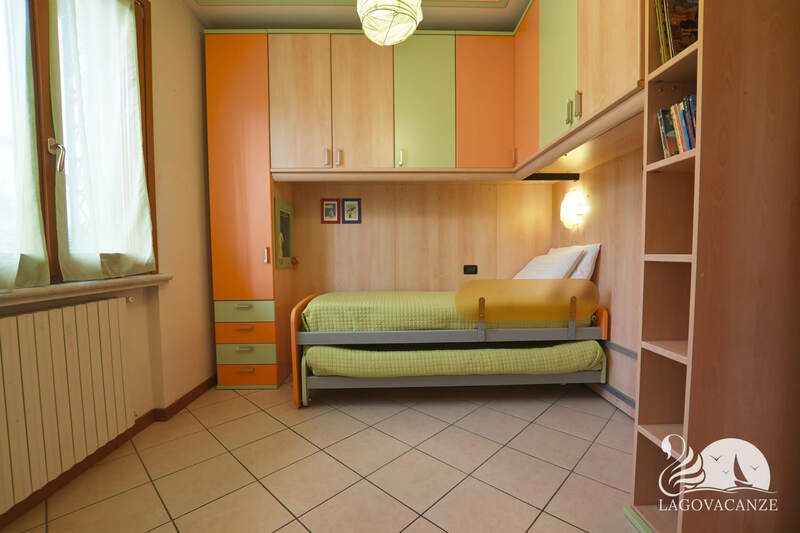 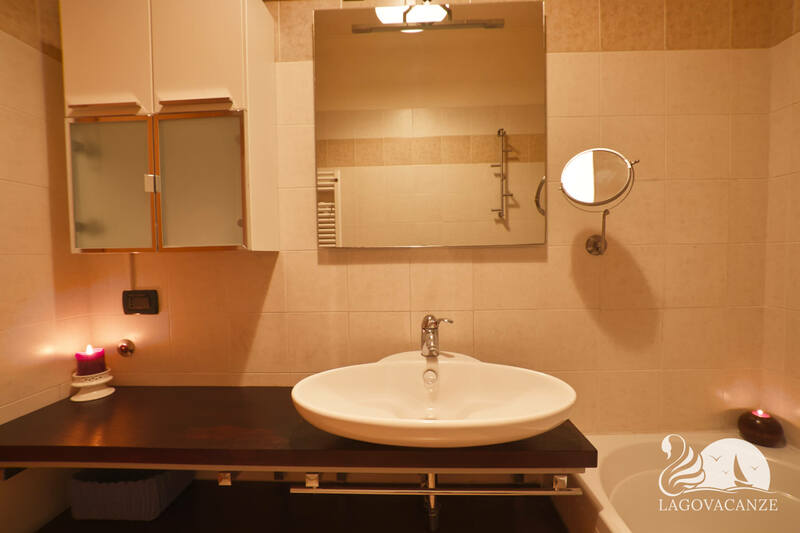 The 2 bedrooms is one with masterbed and the other with 1 single and 1 single foldaway beds, both the bedrooms are furnished with specific closet. 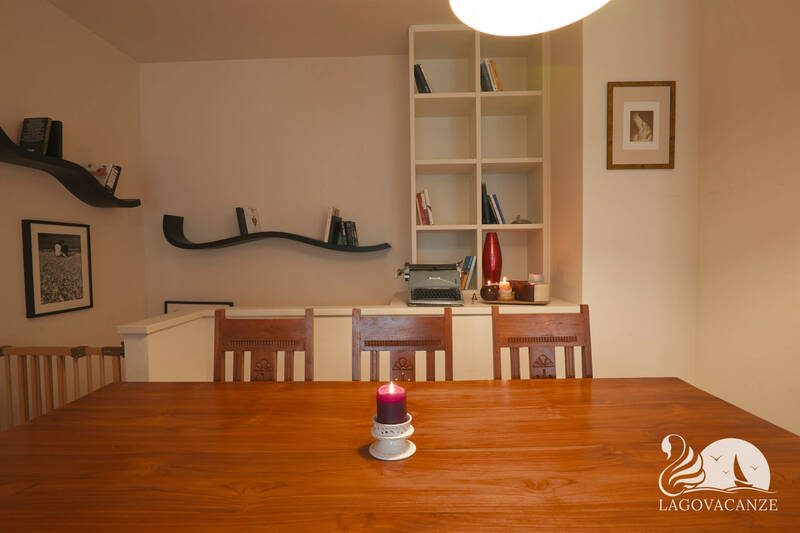 Apartment located in a modern residence. 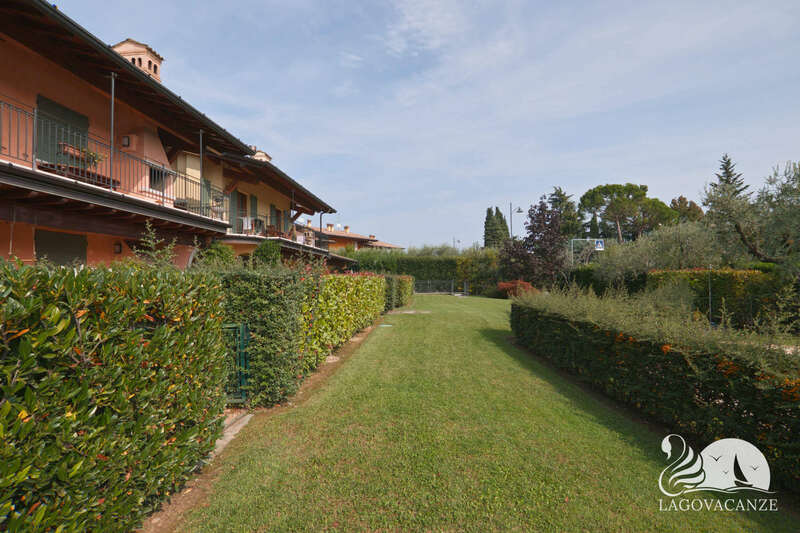 You can reach the centre of Moniga del Garda by walk. 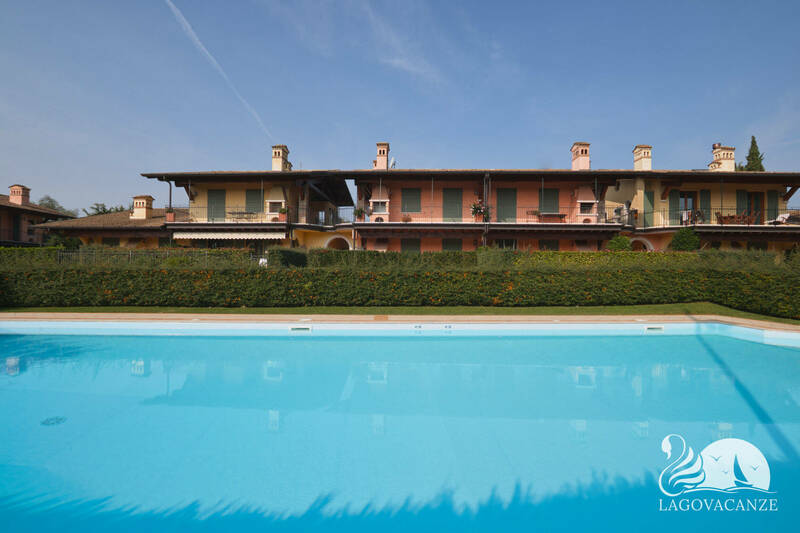 Strategic position for visit all Garda Lake.